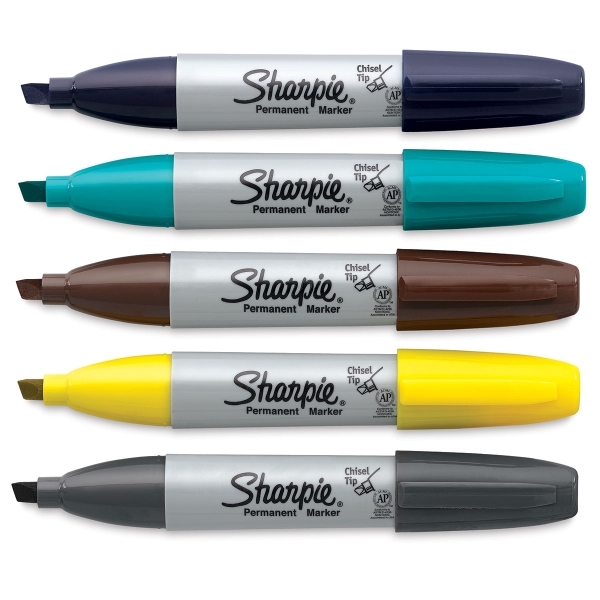 The Sharpie Chisel Tip Marker is permanent and waterproof. 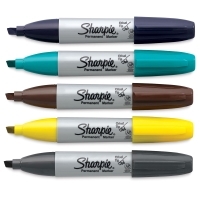 It features a durable tip that makes broad or fine lines. 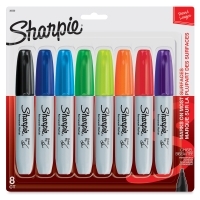 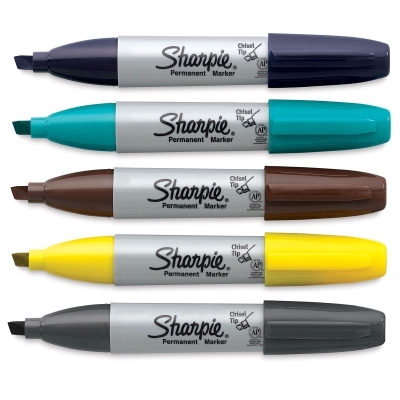 These markers have a unique non-roll shape that provides improved control.